The actress opens up about how her husband "didn't try" after their daughter was born — and how they got through the tough times. 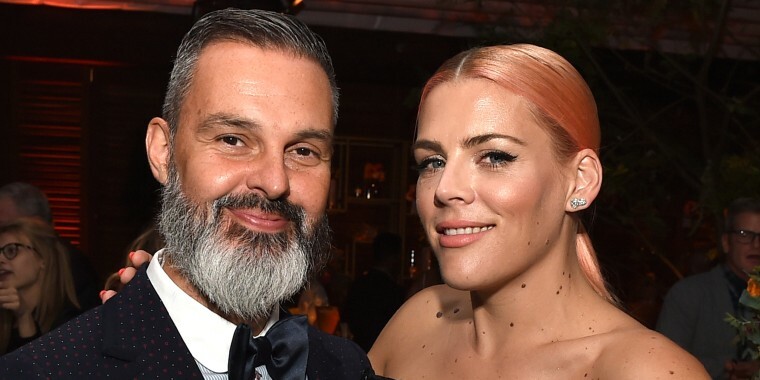 First-time parents never have it easy, but Busy Philipps believes her days as a new mom were harder than they had to be. Even though she was already married to longtime partner Marc Silverstein before the birth of their first child, she felt like a single mother at the time, the actress revealed in an interview with Parents magazine. The couple welcomed their daughter Birdie in 2008. In the magazine's new cover story, Philipps said that at the time Silverstein "was not understanding how to be a dad and, in fact, didn’t try." "I was parenting by myself," she added. And it wasn't a problem that ended with baby No. 1. "When I told him I wanted to have a second child, he said, ‘Fine, but it’s all on you,'" she recalled. "That was so heartbreaking." However, something changed after the arrival of daughter Cricket in 2013 — but not without hard work and tough talk, too. "Marriage is always hard, but especially when you have kids … You’re going to go through periods when you’re not into it, but there always has to be one person willing to fight," the 39-year-old said. "I went to Marc several times and said, 'I cannot do this anymore. Something has to change, and it’s you.'" Fortunately, Philipps said she and Silverstein found a way for their marriage to survive and even thrive after those difficult days. The solution ultimately came in the form of communication and counseling. “We’ve had a lot of serious discussions and counseling, and he’s incredibly participatory now in a way I don’t think he could’ve imagined before," Philipps said. "We’re a work in progress but trying our best, and that’s the most you can do." She also opened up about the "horrible anxiety" she had while pregnant with Cricket. "I'd convinced myself she was going to be stillborn and that I was carrying a dead baby," Philipps told the magazine. "I wasn't telling anyone about it, either — not my therapist, not Marc, not my friends. Finally, I had a full-blown panic attack, at which point Marc got it out of me. As soon as I said the words, I knew it wasn't true." It helps her to talk about these things, she said: "I'd be remiss if I didn't talk about my anxiety in a real way. You have to be open and honest."